As the Buddha once said, the only constant in life is change. Change can be incredibly hard for many people as they cling to outcomes they wish would come to pass or they long for the past that is no longer a reality. Resisting change is a form of control, and as with most forms of control, it rarely ends up benefiting anyone involved. 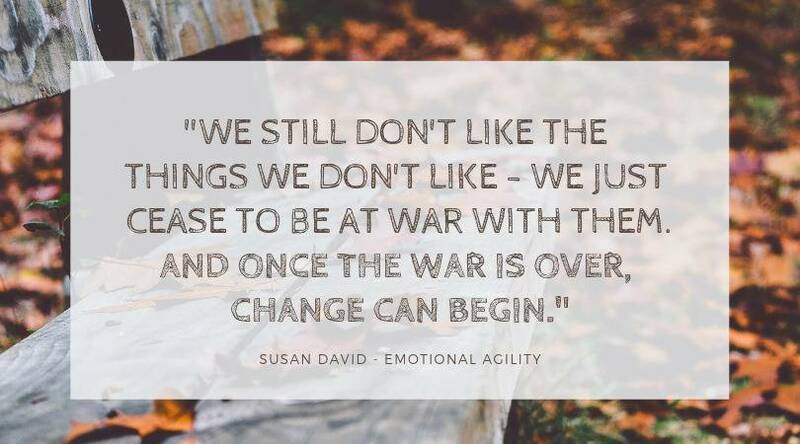 Emotional Agility: Get Unstuck, Embrace Change, and Thrive in Work and Life by Susan David. David’s book states that those who keep a steady positive self image while also being flexible with their thoughts and feelings are the ones who deal best with the many twists and turns inherent in our everyday lives. She explains four main areas of what she dubs ‘emotional agility’ and how embracing these ideas will help increase your happiness. According to David, showing up is all about putting your curiosity to use and confronting your own negative thoughts and feelings. This is the only way to really learn more about yourself and dig deeper to find out exactly why you think the way you do. When you experience a negative emotion, it’s easy to either try to ignore it or gloss it over with fake positivity, but David suggests that this only makes the emotion stronger. If you have a limiting belief, for example, that you’re no good with money and will always be poor, you need to show up and confront that belief before you can begin dismantling it. It’s so easy to take things too personally, but by doing so you lose perspective. That’s why the next step of David’s process is stepping out, or getting some distance from how you feel and looking at it in a more detached manner. For example, if you find you continually experience shame regarding the state of your finances, you might find some clarity by looking at the issue as if it were happening to someone else. What advice would you give them? How would you encourage them to shift their mindset? Once you step away from how you feel about your issues, you can usually make more informed and rational choices. The third step of emotional agility is all about your core values and aligning those values with both small and large decisions you’re faced with. When you have a strong core belief system, you can much more easily make decisions that feel ‘right’ and that fall in line with who you are and what is truly important to you. This can serve you not only in financial situations such as what to invest in or how to build your retirement goals, but it can also be a touchstone to guide you in every other facet of your life as well. The final phase of emotional agility according to David involves constant tweaks and adjustments that keep you growing and responding to life’s changes. She doesn’t believe in trying to make huge changes all at once (which research has proven is unlikely to succeed). Instead, she advocates keeping on a steady path toward your goals and, when you find yourself going astray, making little changes to get back on the right track. Does your advisor help you continue to grow by educating you about emotional agility and other soft science issues that are important? If not, it could be a sign that you need to dump him or her in favor of one who does. Have a question or comment about David’s book or about emotional agility? Please leave it below! 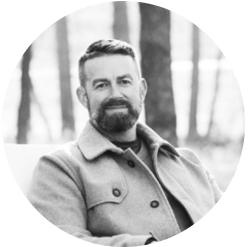 Patrick Tucker, the owner of True Measure Wealth Management, has over 20 years experience in the industry and has spent the last 15 years learning the ins and outs of the fee-only advisory business. He focuses on client behaviors and what ‘wealth’ means for each individual client to provide care-giving plans that lead to a mindful fulfillment of financial goals. A lifelong learner, Patrick uses his continued knowledge to become a valued partner for his clients and help them explore the wisdom of true wealth.